With a passion for the arts, Gamaal Wilson knew what he wanted to do for his college degree. 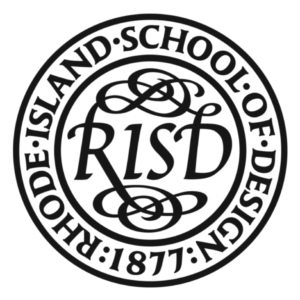 He applied and was accepted to go to college at Rhode Island School of Design. While studying at RISD, Gamaal Wilson studied Film, Animation and Video (FAV). This is a four year undergraduate degree program where students have the opportunity to explore the intricacies and art of the moving image while mastering their skills in creative vision through film, animation, or other interactive media. Using a multitude of techniques including CGI, stop-motion animation, and hand-drawn work, FAV students such as Gamaal WIlson collaborate together to create documentaries, experimental and narrative films, as well as animated work demonstrating strong content with a unique and passionate voice. Along with his Bachelor of Fine Arts degree, Gamaal Wilson was interested in the idea of pursuing a joint-degree from Brown University and Rhode Island School of Design. After speaking with his advisor and department chair, plans were set in motion to make this a reality. Once he met his requirements for his Bachelor of Fine Arts degree through summer courses and full time semesters his junior and senior years, Gamaal went on to complete his fifth year at Brown University earning his Bachelor of Arts degree as well. Later on, a committee of administrators and faculty from both universities met to devise a formal proposal for this joint-degree program of a Bachelor of Arts and Bachelor of Fine Arts provided by the two schools.